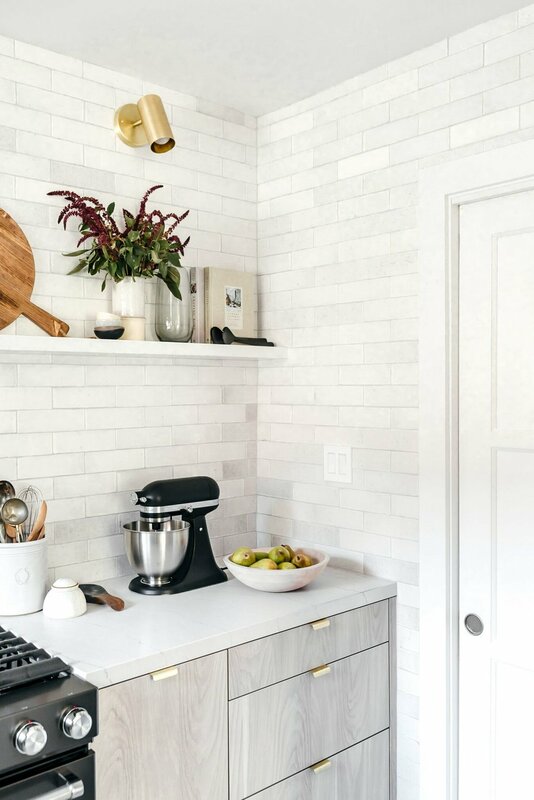 We are so excited to reveal the kitchen we designed with Anne Sage! 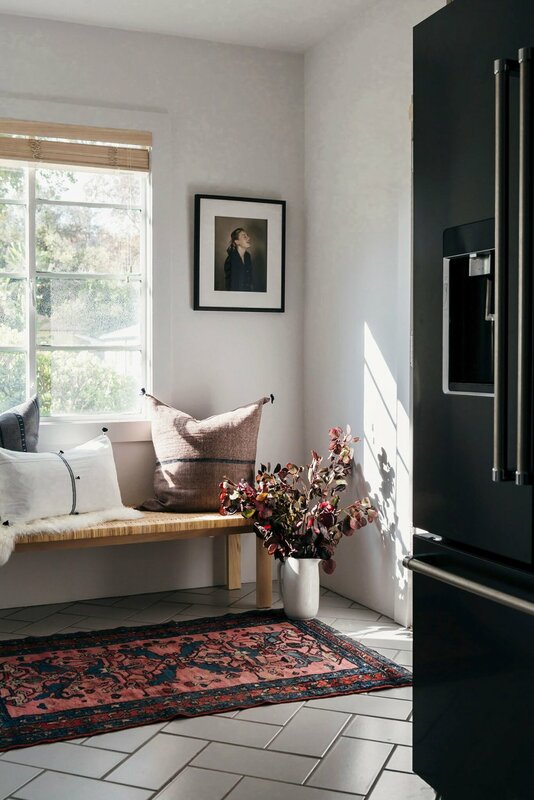 It was so exciting to see it on MyDomaine. This space was small and needed a renovation that would make it feel large and open. Anyone who has lived through a renovation will tell you the same thing: it's going to take longer than you think. There are so many different elements that go into a renovation, so it's impossible to have complete control over everything. Just keep in mind, that the fresh new look will be worth the wait! We're taking Anne's advice and running with it. 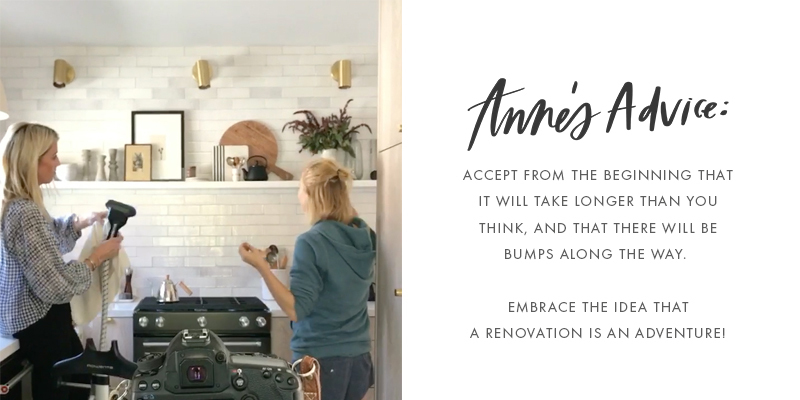 "Embrace the idea that a renovation is an adventure, and you'll be better prepared to weather whatever unexpected developments arise!" We knew we wanted to keep the sink by the window, so we started by installing beautifully laminated wood blinds from The Shade Store. The "bleached wood" color went along perfectly with our vision for the space. 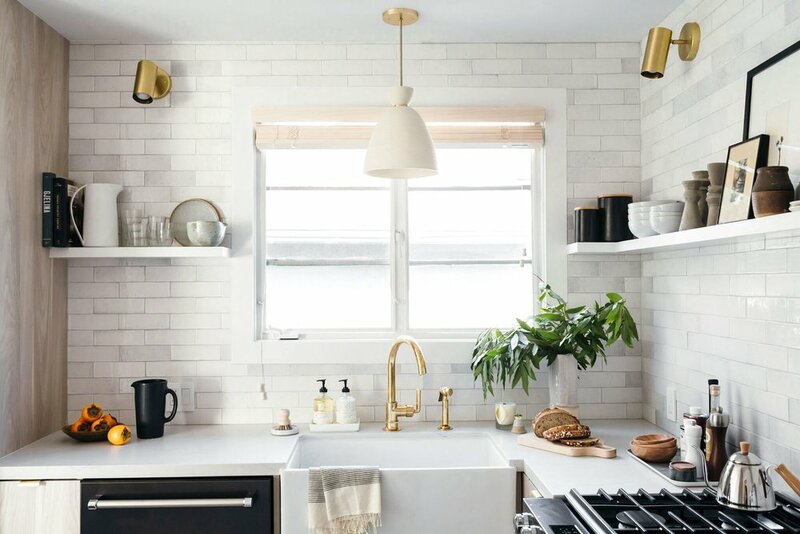 An unlacquered brass faucet by Waterworks proves that even a small kitchen can be a dream kitchen. We chose a clean farmhouse sink and a Cambria Quartz countertop, which keep the kitchen light and airy. 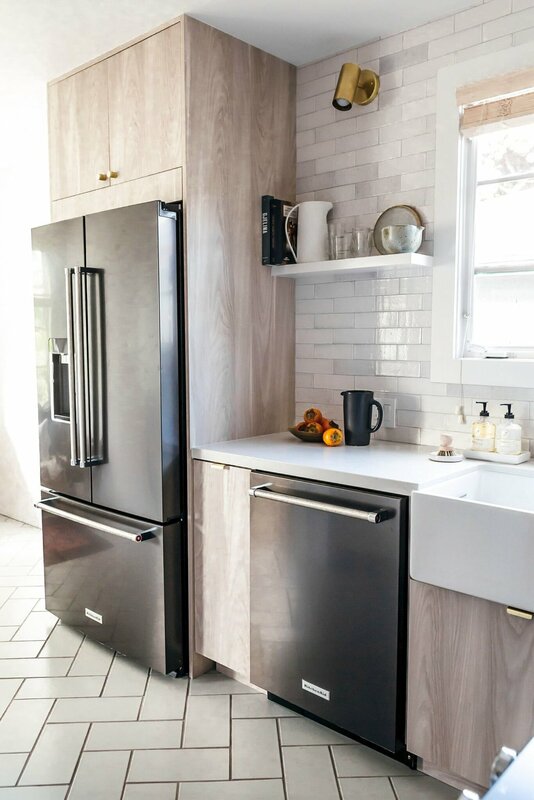 High contrast kitchens are one of our favorite looks, so we love the black appliances (range and dishwasher) from Kitchen Aid. 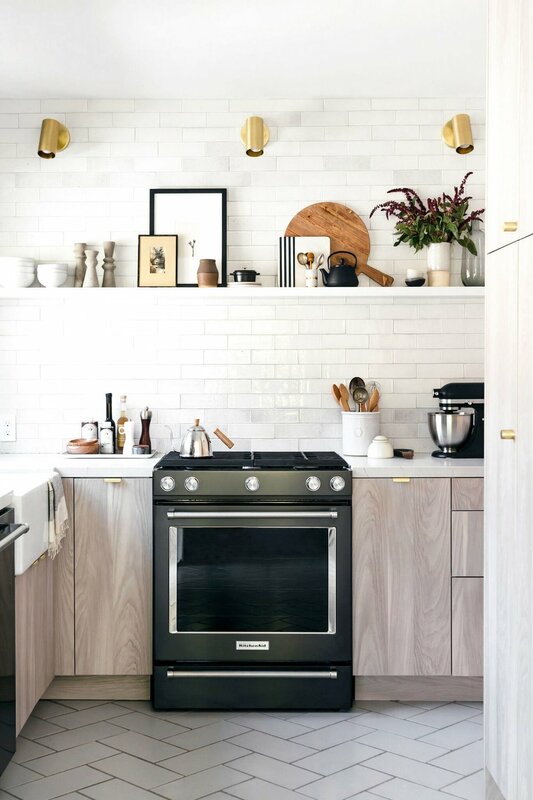 Pro tip: Anne loves the range because it heats up quickly, perfect for those of us who are too impatient to cook. 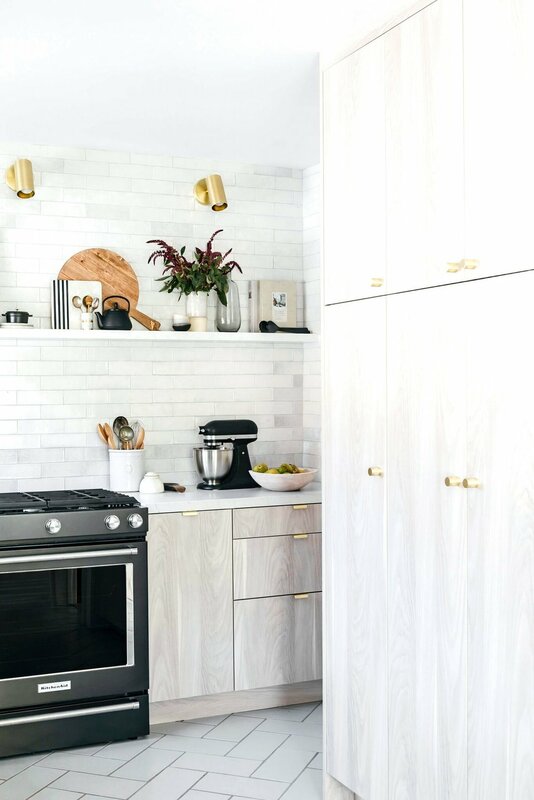 Anne's advice for living in a small kitchen? 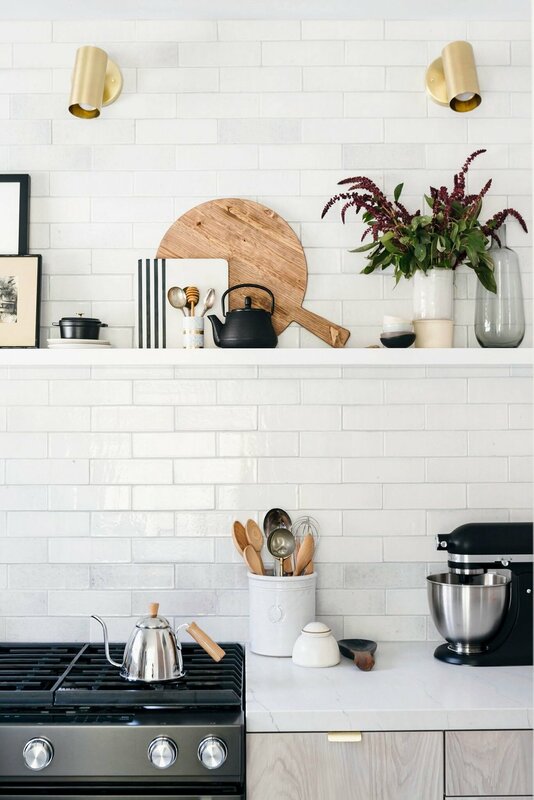 "Storage is the biggest challenge for small kitchens, but the good news is that the less equipment you have, the less you need to store! Get super realistic about how many pots, pans, baking sheets, mixing bowls, etc. you actually need, and only keep the bare minimum. I used to have tons of kitchenwares, but when I got honest with myself, I admitted that I was barely using half of it on a regular basis. (I mean, does anyone really need three sets of measuring cups?) I donated the surplus to Goodwill, and we were easily able to fit everything that remained into our limited space—without having to cram. Plus, now there’s fewer things to pile up in the sink when I'm cooking!" We created a cozy little nook with this extra space. The textured bench, soft throw, and decorative pillows keep the dark space feeling warm and bright.